you will find Buy Me Links here. listed below as they become available! This SPECIAL edition of Shalako contains the Louis L'Amour's Lost Treasures Bonus Material Postscript by Beau L'Amour. He was a white man as cunning as any Indian, a brooding man who trusted in nothing but his weapon and his horse. Shalako was determined to cross the bleak Sonoran Desert - the Apaches' killing ground - by himself. But then he came across a European hunting party, and a brave and beautiful woman, stranded and defenseless. Shalako knew that he had to stay and help them survive. For somewhere out there was a deadly Apache warrior . . . and he had the worst kind of death in mind for them all. Beau L'Amour's Postscript for Shalako gives the reader an insiders look at the development and making of the FILM starring Sean Connery and Brigitte Bardot. This SPECIAL edition of Yondering contains the Louis L'Amour's Lost Treasures Bonus Material Postscript by Beau L'Amour. 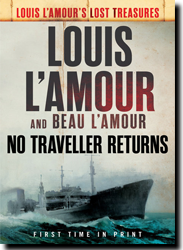 "Placing all of Louis' "semiautobiographical short fiction" in one volume is especially important now because of the release of my father's first novel, NO TRAVELLER RETURNS, which is the final piece of the Yondering series." 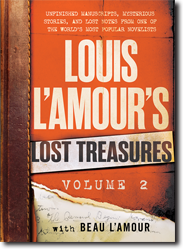 As part of the Louis L'Amour's Lost Treasures series, this edition contains exclusive bonus materials! From the jungles of Borneo to the hidden canyons of the American West, from small-town fight clubs to a Parisian cafe at the end of World War II, here are tales of betrayal and revenge, courage and cowardice, glory and greed, as only Louis L'Amour can tell them. Combining electrifying action scenes, vivid historical detail, and characters who seem to leap off the page, these spectacular stories honor the legend of Louis L'Amour. Kilkenny wasn't looking for trouble when he entered the Clifton House stage station, but trouble found him when a reckless youngster named Tetlow challenged him, drew his gun, and paid for it with his life. Looking to escape a reputation that he never wanted, Kilkenny settles in the lonely mountain country of Utah, planning to ranch a high, lush valley. But the past is on his trail. Joe Harbin hadn't killed a man for a fortune in gold just to sit in prison and let Rodelo collect it. But when Joe and his men break out and head for the stash, they end up with a pair of unwelcome partners: Rodelo and a beautiful woman with a hidden past. To get fifty thousand dollars in gold across fifty miles of desert, the desperate band quickly learns how much they need one another - and how deep their greed and suspicion can run. His father killed by the British and his home burned, young Tatton Chantry left Ireland to make his fortune and regain the land that was rightfully his. On a voyage to the New World his party is attacked by Indians and he is marooned in the untamed wilderness of the Carolina coast. It is in this darkest time, when everything seems lost, that Chantry encounters a remarkable opportunity and suddenly all his dreams are within reach . . . But first he must survive Indians, pirates, and a rogue swordsman who has vowed to see him dead. Ben Cowan and Bijah Catlow had been friends since they were boys. By the time they grew to manhood, Catlow had become an outlaw and Cowan a U.S. marshal. So when his old friend rode to Mexico to pull the biggest robbery of his career, it became Ben Cowan's job to hunt him down. 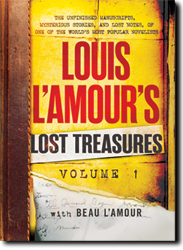 This SPECIAL edition of BOWDRIE contains the Louis L'Amour's Lost Treasures Bonus Material Postscript in which Beau L'Amour (Louis' Son), shares with you the truly personal story behind Louis' decision to write the novelization of the film script for How the West Was Won. You'll discover some of the difficult decisions made and the compromises required to bring these Western Short Stories to life! 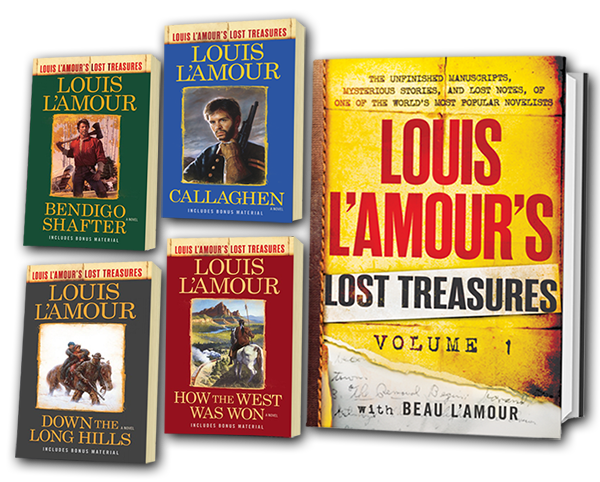 This SPECIAL edition of HOW THE WEST WAS WON contains the Louis L'Amour's Lost Treasures Bonus Material Postscript in which Beau L'Amour (Louis' Son), shares with you the truly personal story behind Louis' decision to write the novelization of the film script for How the West Was Won. You'll discover some of the difficult decisions made and the compromises required to bring this Western Masterpiece to life! This SPECIAL edition of Down the Long Hills contains the Louis L'Amour's Lost Treasures Bonus Material Postscript by Beau L'Amour. This SPECIAL edition of Callaghen contains the Louis L'Amour's Lost Treasures Bonus Material Postscript by Beau L'Amour.